What Am I Doing and How Am I Doing It? 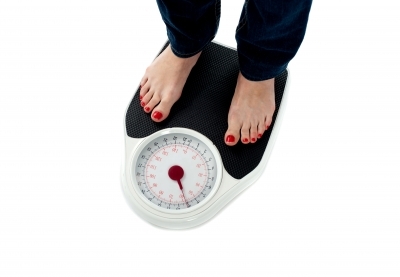 An interesting question: how am I going to lose my excess weight and reach my goal? The reason I think this question is so interesting, is because it can elicit so many different responses. There are so many methods of diet and weight loss out there in the big, wide world—South Beach, Atkins, Weight Watchers, Jenny Craig, the Grapefruit Diet—how do you figure out where to start? I have tried a lot of different ways to lose weight, from commercial diets all the way to just plain starving myself. This time around I actually didn’t choose my weight loss method, it chose me. Back in March of 2012 I was having an awful time sleeping and waking up with splitting headaches in the middle of the night. Many visits to the doctor and one sleep study later I was diagnosed with obstructive sleep apnea. Now, sleep apnea itself is treatable and manageable, but my doctors were concerned about possible lung and/or heart damage due to my dangerously low oxygen levels. Enter my cardiologist, who after inflicting me with test after test, gave me the all clear. Even though everything was fine, it was eye-opening to the things that COULD have been wrong. Now don’t get me wrong, it’s not as though I walked out into the middle of a field, looked up at the sky and screamed “I have been given a second chance at life!” (although that would make for a fantastic scene in the movie about my life). I do, however, think that if I don’t put some serious effort into getting healthy, my body isn’t always going to be this cooperative. At my weight, I really should have a host of other issues—high blood pressure, diabetes, high cholesterol—but I don’t. I am a very lucky girl. So why not use that to my advantage to get healthier? I love my cardiologist (there’s a sentence you don’t hear from a 37-year-old every day). And the reason I love her is because she and I had very frank discussions about my weight and how we could best proceed to help me. She understood my issues (awful sleep=no energy). Now that I was getting my sleep issues dealt with, and any possible cardiac issues were quelled, I could focus on getting healthy. I could also focus on doing it properly. Enter Dr. Sean Wharton. Since November, I have been on a doctor supervised program at The Wharton Clinic here in Burlington, Ontario founded by Dr. Sean Wharton. The aim of the program is lifestyle modification through education and support. I see a doctor and nutrition specialist every four weeks who help me with my eating plan. This is probably the most sensible program I have ever been on. The plan at its core it pretty basic – eat less, move more, and what you do eat should be high quality. Lay off the refined carbohydrates and highly processed foods, eat more complex carbohydrates, protein, and fiber. I’m not saying that this is in any way easy to do—I struggle daily—but so far, for me, it’s been working. Slowly, but surely.